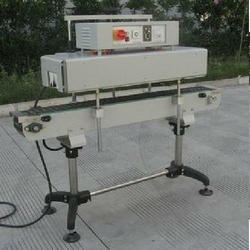 SS Slat Chain Conveyor (3 inches wide) operating on 3 phase supply. Steam Tubing(25 mm ID) connected with ball valves(MOC SS 304). Temperature Gauge & Exhaust fan operate on single phase. Uniform Distribution of lowpressure steamdrum & sqouting way of steam are uniform & designed with seamless tube. Steam Nozzle is divided to be adjustable three segments and the height , position and steam output of every segment can be adjusted respectively so as to gain the perfect shrinking effect. The stainless steel defrosting tray collects condense water. The whole machine adopts the water-proof design with the convenience of easy operation and low maintenance. Vertical shrink tunnel Model IP 1540 LB / IP 1540 XLB adopt hot air circulating shrinkage, mainly for shrinking such containers as bottles, jars and cups etc. Variety of Blown, Cast and PET PVC shrinking films, including PVC, POF etc are applicable. These machines adopt two blowing motors in low power, turbo air blowing ensure the label’s position and can meet all kinds of bottles just need to set and adjust the machine simply. In this machine, only heat the cap of bottle, ensures products quality inside the bottle. Vertical shrink tunnel shrink label on the whole body as well as the cap of bottles. Transport the bottles out from the tunnel after inserting the labels, it can be used for foodstuff, beverage, pharmacy, cosmetics and pesticide industries. The Vertical Shrink Tunnel Model IP 1540XLB can be fitted on site user existing conveyor. Label shrink tunnel adopt hot air circulating shrinkage, mainly for shrinking such containers as bottles, jars and cups etc. Variety of Blown, Cast and PET PVC shrinking films, including PVC, POF etc are applicable. These machines adopt two blowing motors in low power, turbo air blowing ensure the label’s position and can meet all kinds of bottles just need to set and adjust the machine simply. In this machine, only heat the cap of bottle, ensures products quality inside the bottle. Label shrink tunnel shrink label on the body as well as the cap of bottles. Transport the bottles out from the tunnel after inserting the labels, it can be used for foodstuff, beverage, pharmacy, cosmetics and pesticide industries. Shrink Chamber Machine combines sealing with shrinking into one step. It suitable for all kinds of shrink films such as PVC, POF, PP etc. And the transparent cover makes the process of sealing & cutting and shrinking be visible. 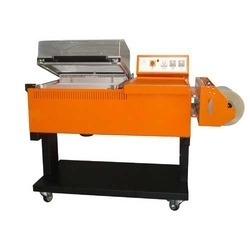 It is equipped with height adjustable ms /stainless steel conveying mesh, among the three models, the shrink wrapping machine BSF-5540A is used to convey the packed products out automatically so as to double packing capacity. Our company holds immense experience in this domain and is involved in offering wide assortment of Steam Shrink Tunnel Machine. 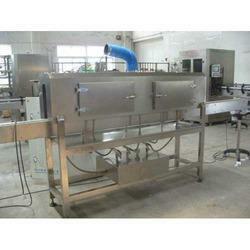 This steam operated tunnel is made up of stainless steel with a double skin insulated exterior. 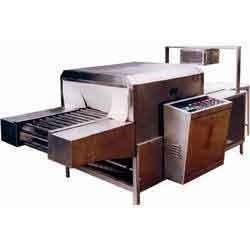 It is delivered with removal hoods, a hinged lid and a drain tray with top opening access for cleaning of products. Options comprise container calculation system, in and out of the tunnel, as well as a motorized tunnel lift facility. Steam Tubing (25 mm ID) connected with ball valves (MOC SS 304). Suitable for irregular round bottles, square bottles and flat bottles etc. Uniform Distribution of low-pressure steam drum & scouting way of steam are uniform & designed with seamless tube. Steam Nozzle is divided to be adjustable three segments and the height, position and steam output of every segment can be adjusted respectively so as to gain the perfect shrinking effect. Our company is highly esteemed in offering Shrink Wrap Tunnel to the client. IP6050 series shrink tunnel accepts PE shrink film packaging design for big and weighty objects. Even the huge packing objects can be shrunken in a short period. The products later than packing will be assured in quality with clean emergence and condensed in structure, which will be much easier for stacking and extended distance transportation. 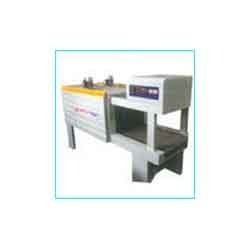 Assortment of shrinking films, including PE, PVC, POF etc are appropriate. 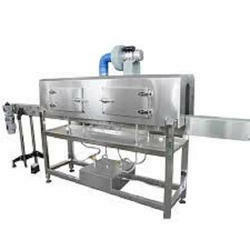 Shrink tunnel is utilized to shrink pack goods, such as cans, glass bottles, mineral water etc, in wood, rolled steel, ceramics, household appliances, computers industries and more. The Silicon roller conveyor or Steel Wire Mesh or Teflon Mesh is being fitted for better performance. Leveraging over the skills of our qualified team of professionals, we are instrumental in offering wide range of Vertical Shrink Wrapping Machine. This tunnel take on hot air circulation for shrinking, is mostly use for shrinking labels of bottles, jars and cups etc, no issue the label is on the body, cap or bottom of the bottle. Transport the bottles out from the tunnel after put in the label, it can be used for foodstuff, beverage, pharmacy, cosmetics and pesticide industries. 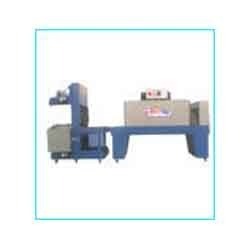 We are highly acknowledged organization engaged in presenting remarkable range of Vertical Shrink Tunnel Machine. This machine adopts two blowing motors in low power, turbo airs blowing ensure the label's position and can get together all varieties of bottles just require to put and adjust the machine basically. 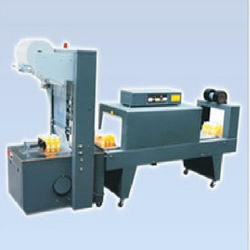 This machine only heat the cap of bottle, ensures products quality inside the bottle. Vertical shrink tunnel shrink label on the whole body as well as the cap of bottles. The Vertical Shrink Tunnel can be preset on site user obtainable conveyor. These Shrink Tunnels are available in the following series - 3020A, 4525A,4535LA, 6535LA. Shrink Tunnels adopt variable speed conveyor fitted with straight geared conveyor motor, high speed Blower motor (2800 RPM) with adjustable height. 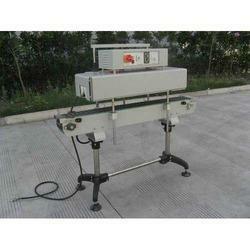 These machines comes in Roller Conveyor and Teflon Net Conveyor as well. These Shrink Tunnels IP 3020A & IP 4525A adopts single hot wind Blower. And IP 4535LA & IP 6535LA are designed with lenegthened double hot wind blower for higher and better shrinking effect. These Shrink Tunnels can be used on PVC, Polyolefin and PP Shrink Films. IP6050 series shrink tunnel adopts PE shrink film packaging design for large and heavy objects. Even the large packing object can be shrunken in a short time. The products after packing will be guaranteed in quality with clean appearance and compact in structure, which will be much easier for stacking and long-distance transportation. Variety of shrinking films, including PE, PVC, POF etc are applicable. shrink tunnel is used to shrink pack goods, such as cans, glass bottles, beer, mineral water etc, in wood, rolled steel, ceramics, household appliances, computers industries and more. Shrink tunnel is used to shrink pack goods, such as cans, glass bottles, beer, mineral water etc, in wood, rolled steel, ceramics, household appliances, computers industries and more. The Silicon roller conveyor or Steel Wire Mesh or Teflon Mesh is being fitted for better performanace. IP-1230 series label shrink tunnel adopts hot air circulation for shrinking, is mainly used for shrinking labels of bottles, jars and cups etc, no matter the label is on the body, bottom or cap of the bottle. IP 1230 label shrink tunnel an shrink label on the body as well as the cap of bottles. Transport the bottles out from the tunnel after inserting the labels, it can be used for foodstuff, beverage, pharmacy, cosmetics and pesticide industries. Customised Vertical and Rotary Shrink Tunnels are also avaliable depending upon the user requirement. 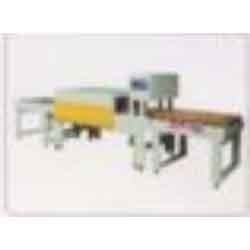 These machines are being used in LDPE Shrinking of Bigger size product in width. 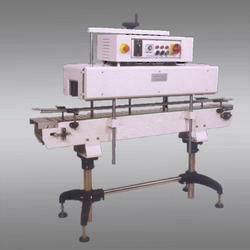 These machines are mainly used for mattress and broad size product. IP-1530 series Stainless Steel shrink tunnel adopts hot air circulation for shrinking, is mainly used for shrinking labels of bottles, jars and cups etc, no matter the label is on the body, bottom or cap of the bottle. IP 1530 label shrink tunnel an shrink label on the body as well as the cap of bottles. Transport the bottles out from the tunnel after inserting the labels, it can be used for foodstuff, beverage, pharmacy, cosmetics and pesticide industries.